New Orleans Obamacare continues to be contentious with daily reports arguing about the issue from Nobel Prize economist and columnist Paul Krugman’s assessment of the good news to more conservative pundits arguing we are on the verge of huge price shocks coming in the 2015 rating levels. One thing that continues to be indisputable is the myriad ways that big employers are using to try to skirt the coming obligations to provide adequate coverage for their workers, especially if they can try to argue they are part-time. Outfits with 100 or more workers are required to provide coverage this coming year and those with 50-99 workers in 2016. As we all recall the bright line test for coverage is an average 30 or more hours per week. The Republicans keep trying to amend that number up to 35 hours, but regardless those falling below the line already constitute 20% of the jobs in the US-workforce with about 28 million jobs. Jobs and workers are different, but anyway you cut it, it’s a big number left out of employer-based coverage. Predictably big companies with lots of part-time workers then will be trying to do everything they think they can get away with to keep from covering as many of these workers as possible. 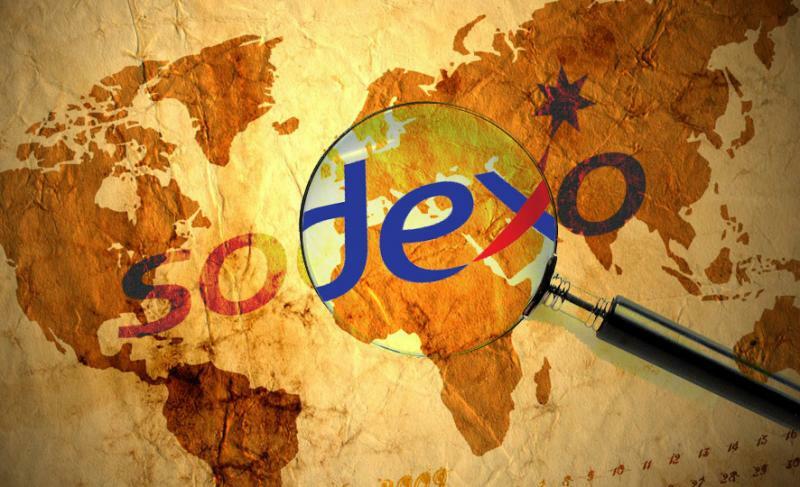 Not surprisingly the giant, French-based services subcontractor, Sodexo, with 133,000 US-based workers, often targeted worldwide by unions for organizing because of its shenanigans, is right at the top of the list. The company has no small amount of its business handling college dining areas and other cafeteria operations. Taking advantage of an Obamacare loophole, Sodexo announced it was going to take its workforce, employed 9-months of the year on campuses, and average their hours across 52-weeks so that a significant number would not be eligible for coverage under the Affordable Care Act mandate since their average hours would then dip below 30 hours. Nothing in the Affordable Care Act requires an employer to eliminate health coverage for any employees or penalizes an employer for offering health coverage to all employees. An employer that eliminates health coverage is doing so by choice, not by requirement. Some of Sodexo’s employers, like the Quaker-founded Earlham College in Indiana objected and modified their contracts. The company in a recent about face jumped backwards and said that it would recalculate the eligibility so that the average went back to 52-weeks. But, even while this is good news, I’m troubled that others are likely to get away with this escape clause. Furthermore Sodexo’s spokespeople still claim that either way it’s a wash in terms of the coverage they will offer their workforce and what it will cost the company, and that almost surely means that they intend to offer one of these inferior low premium/high deductible plans that are hardly insurance at all for most of their lower wage workers. Sodexo may have stumbled while trying to scramble through a loophole and have been caught by a union with an eye on them, but there will be hundreds with no one looking that will be driving trucks through these and other loopholes with no one ever noticing, except their own workers, left high and dry, not that much of anyone seems to care. This entry was posted in Citizen Wealth, Financial Justice, Health Care and tagged Affordable Care Act, contract workers, obamacare, part-time workers, Sodexho, workers by Wade. Bookmark the permalink.